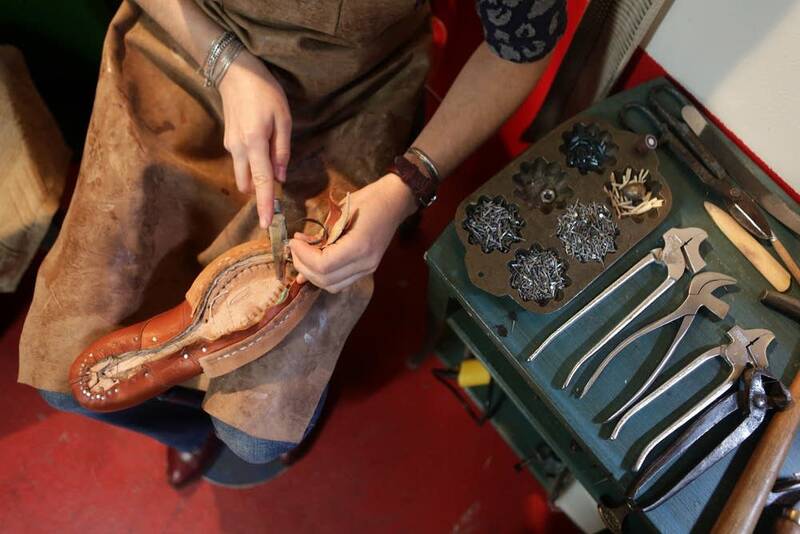 As a skilled shoemaker, Amara Hark-Weber is an artist who creates modern styles by hand. But she is still relatively unknown. With no advertising beyond her website, most of her business arrives through word-of-mouth referrals. But this weekend she'll receive a huge amount of exposure when the prestigious American Craft Council Show comes to St Paul's RiverCentre to help emerging artists create successful businesses. As a participant in Hip Pop, a pilot project at the national craft show, Hark-Weber will have a chance to reach potential customers — and show off her accomplished technique. 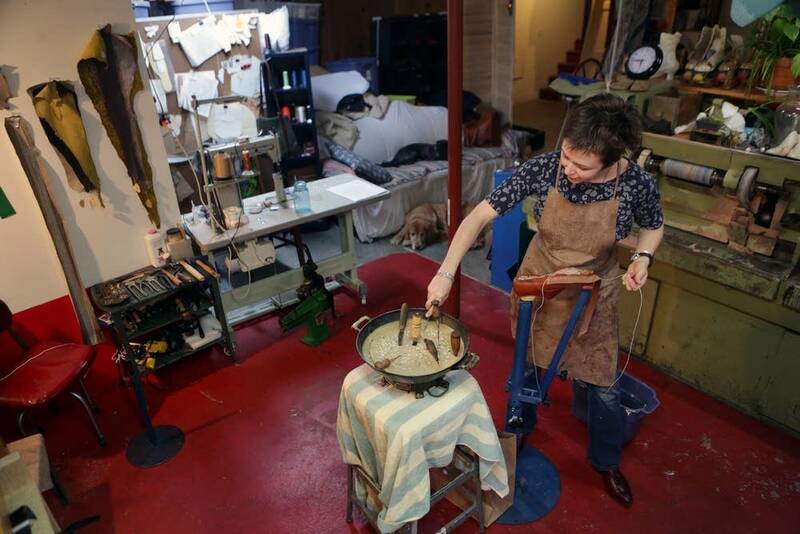 Visitors to Weber's basement studio in the Frogtown neighborhood will see some things they might expect. 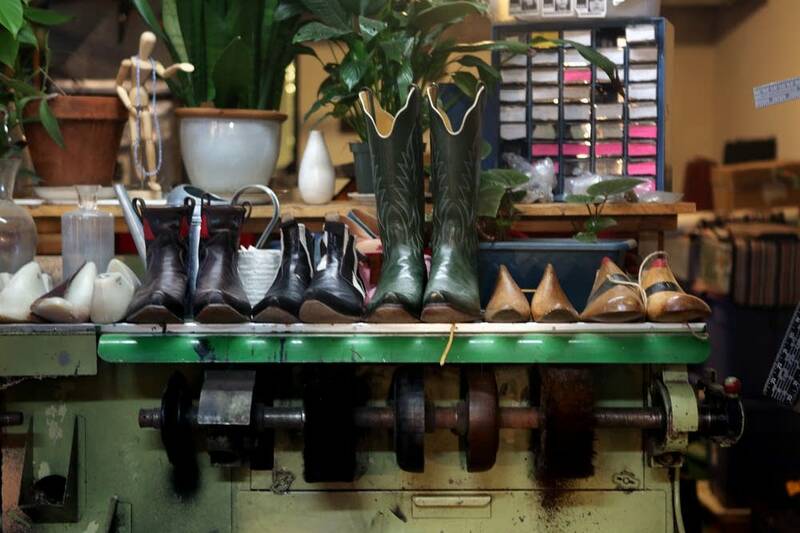 There are shoemaking tools, shoes and boots — some finished, some half-made. But there are surprises too. "This curved piece of glass is an old television screen that I use for skiving," Hark-Weber said. 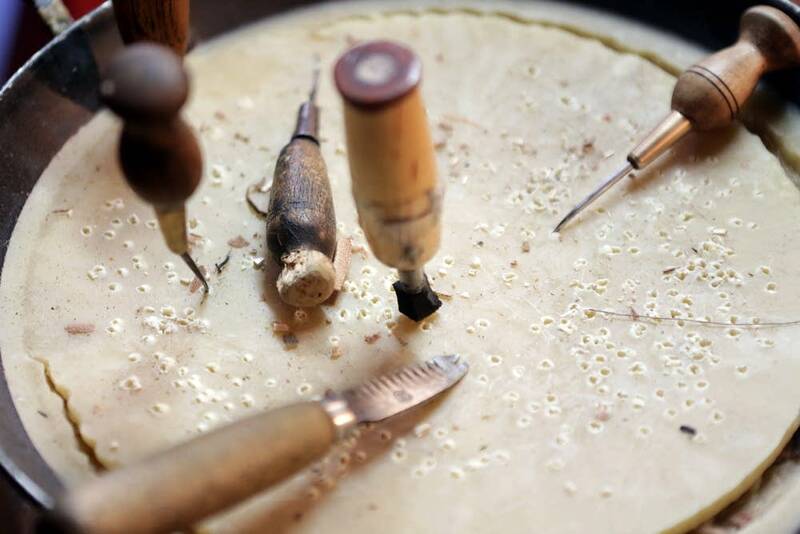 "Skiving is a process of beveling the edge of a leather. 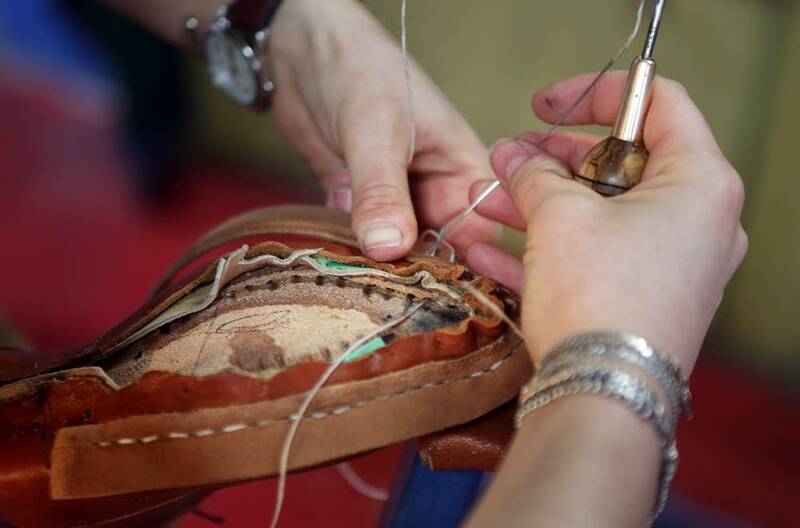 Everywhere there's a seam the edge of the leather has to be beveled so that it's totally smooth." 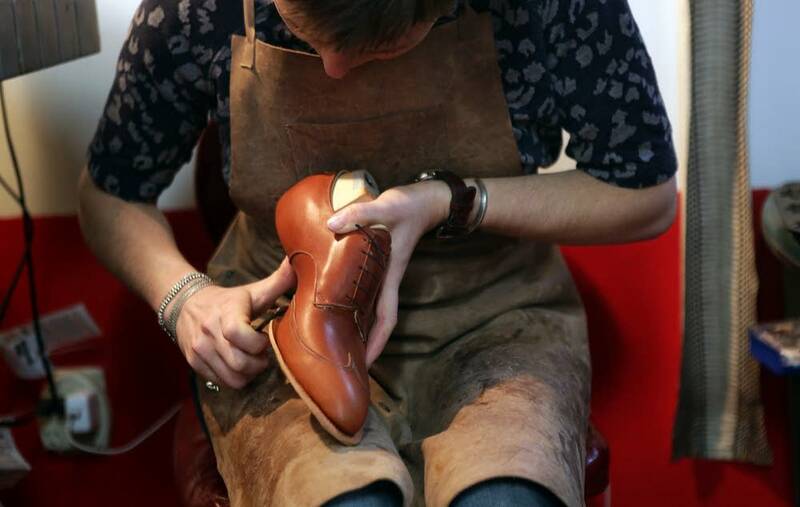 Hark-Weber is a cordwainer, the correct term for someone who hand-builds shoes. Like a surgeon, she keeps vital tools on a tray, within easy reach. "These are my knives," she said. "They are really sharp. They are sharper than razors. They can split a hair." Hark-Weber's blades can slice heavy leather soles like butter. But she does have some occasional mechanical assistance from a sewing machine designed for stitching layers of leather. "It can chew right through your bones. It kind of freaks me out actually," she said with a laugh. "It's a big, tough machine." She doesn't use it very much. "Most people use a machine," she said. "A lot of people think I am crazy to sew everything by hand, but I do everything by hand here." That includes a lot of hammering to shape the leather. On a pair of beautiful brown wing-tips, Hark-Weber used a brightly polished hammer which won't mar the leather. It's hard to find shoemaker's tools nowadays. Only one man in Wisconsin still makes them. 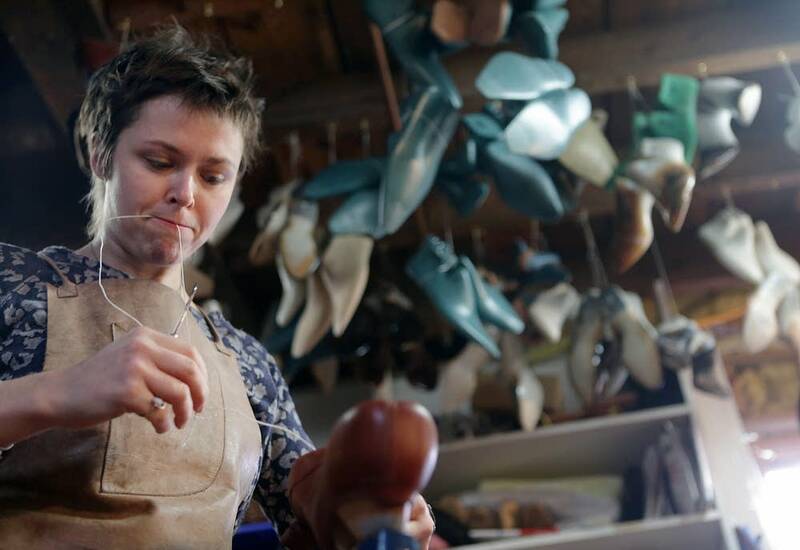 So cordwainers like Hark-Weber often use vintage tools. Some of her hammers are more than a century old. But the old tools allow her to make very modern-looking shoes. On a nearby bench sat a bright orange pair of hipster boots with a gold stripe down the heel. She also makes intricately stitched western boots. At the national craft show, Hark-Weber will be one of 30 participating artists Hip Pop aims to provide economic opportunities. Friday through Sunday, five stands will feature six artists each. 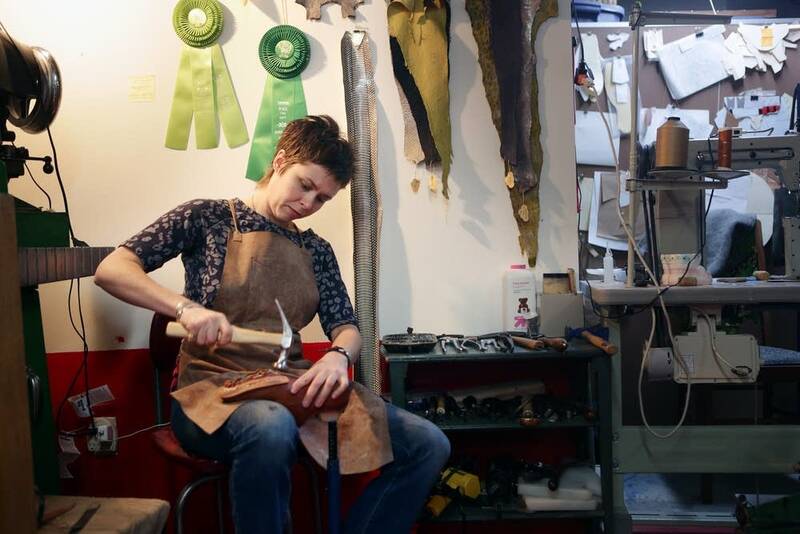 The program is designed to help the artists determine if they have a viable small business, said Pamela Diamond, director of marketing and communication for the American Craft Council. "You know, can you create a line? Can you merchandise it?" Diamond asked. "Can you price it properly? Can you talk to people when they come up to your space and are interested in what you do?" In a world used to large-scale manufacturing, Diamond said, the craft show also is about explaining to potential customers why handmade items are so much more expensive. "And then they'll go 'Oh! It's not so easy to make a custom shoe,'" Diamond said. "Besides the fact that you need that equipment and you have to sharpen your knives all the time, there's just so many things that go into it." Hark-Weber said her shoes start at $600 a pair, but the prices average about $800. Most handmade shoes cost about twice that, but she charges less as she has only been making shoes and boots for a couple of years and is still learning her craft. Hanging in bunches from her studio's ceiling are foot shapes called lasts. Hark-Weber makes one for each customer's feet to ensure a perfect individual fit. "Some people with foot problems come to me, like with an unusual foot," she said. "But the more feet that I measure, the more I realize everybody has an unusual foot. And manufactured shoes — they are made for a median that doesn't really exist." Correction (April 7, 2015): An earlier version of this story misspelled Amara Hark-Weber's last name in the photo captions. The story has been updated.